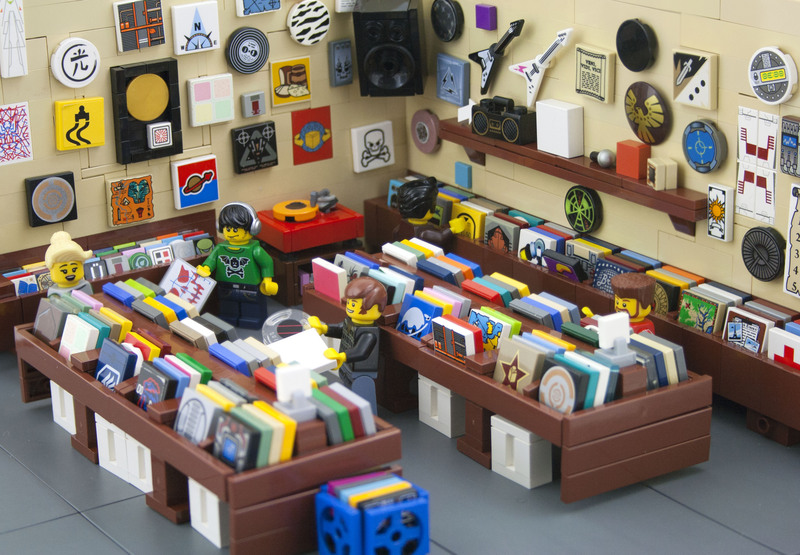 This scene, by Ryan Howerter (AKA eldeeem) perfectly captures the look and feel of music stores all over the country and perhaps all over the world. The use of 2×2 printed tiles as LP jackets is spot-on and the eclectic nature of album art is such that just about any tile would make a good jacket. I also love the speaker up in the corner, as it really anchors the shot. I also like the use of 1×1 tiles as CDs. I have to say I’m impressed. It is not often that a builder completely captures the essence of scene like this. Ryan did so well, I feel like I’ve bought music there. In fact, I think I recognize some of those customers. Daaraan hoef ik verder niets toe te voegen, spijker op z’n kop!